It has been 29 years since the demise of my Guru, Pt. Durga Lal, an artiste par excellence. He left at the peak of his career, and far too early. He was only 42. I know it for a fact that wherever Guruji is today, he must be looking down at us benevolently and smiling at the way life has progressed and the way classical arts have flourished despite facing increasing competition from other fields. To preserve his legacy, I took the initiative of establishing a cultural organisation. Just about finding my feet in Bombay, I couldn’t have done it by myself. 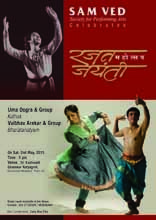 With the efforts and support of friends, Sam Ved Society for Performing Arts came into existence in 1990. It was registered as a Charitable Trust under the Bombay Trust Act, 1950. Today when I talk about Sam Ved, I can very proudly say that we, as an institution, stand upright as a strong body of righteous connoisseurs of arts. Sam Ved’s trustees and patron members come from various fields such as renowned actor Smt. Shabana Azmi, vocalist Sh. Anup Jalota, Chairman of ITM Group of Institutions Dr PV Ramana, Sanskrit scholar Sh. Surendranath, leading cinematographer Sh. Barun Mukherjee, writer-director Chitraarth Singh and journalist Suhani Singh. Right from its inception, Sam Ved has been working earnestly and conscientiously towards its goal which is to bring to audiences the dignity and beauty of classical dance and music. 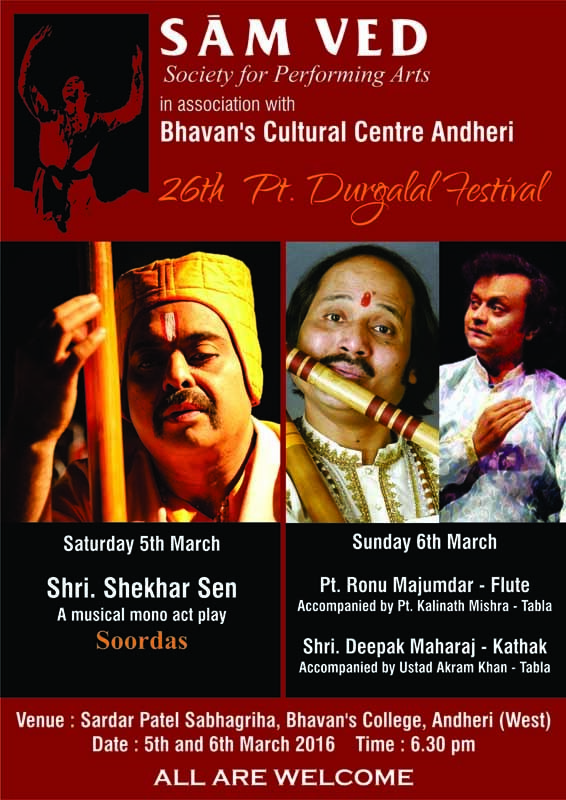 It has done so by organising two major festivals: Pt Durgalal Festival and the Raindrops Festival of Indian Classical Dance. 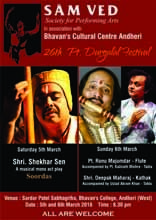 Through them Sam Ved pays homage to the dynamic performer Durga Lal and keeps his memory alive in generations to come. The Pt. 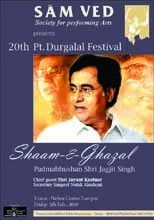 Durgalal Festival is a tribute to the doyen of Jaipur gharana. So far Sam Ved has had the privilege of masters of almost every field having performed for it in Mumbai, Delhi, Jaipur, Kolkata, Aurangabad, Jamshedpur, Bhopal and Pune. Held during the monsoon behest month of July in Mumbai, the Raindrops Festival is a platform for the upcoming talents in the field of Classical Dance. Giving the young dancers a stage, the festivals main aim is to bring newer talents to the audiences forefront. Sam Ved also has a School of Kathak, which is dedicated to teaching students the Kathak of Jaipur Gharana. Smt. Uma Dogra, the first Ganda Bandha Shahgird of her late Guru Pt. Durgalalji, teaches the future generations and imbibes in them the nuances of dance and thus brings to them an interpretation of all that she has received from her mentor in addition to her own interpretations. Scholarships are also provided to the deserving but needy students for learning the dance. 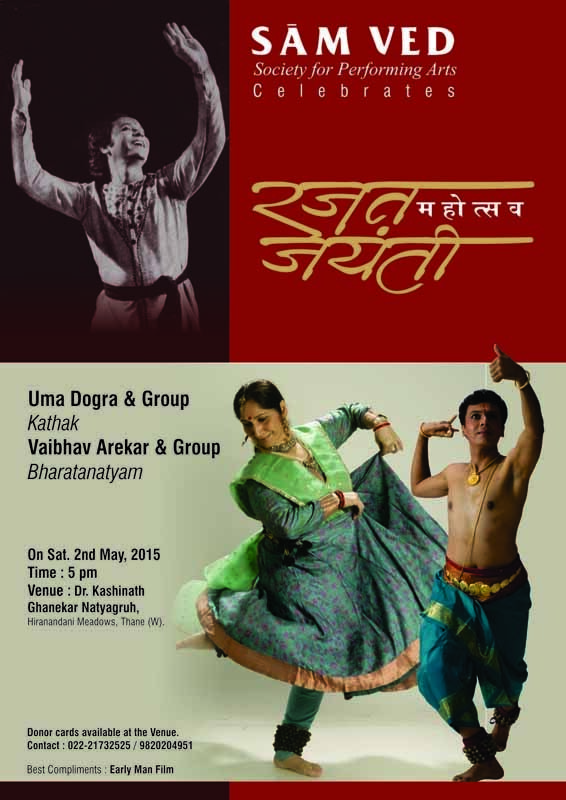 Sam Ved school of Kathak has brought to the forefront many young performers and continues to do so. Many students of Sam Ved School of Kathak Indrayanee Mukherjee, Sarita Kalele, Sayali Shetye and Rachana Parulkar, Diksha Rawat are enthralling audiences with their dedicated performances all over India and abroad.